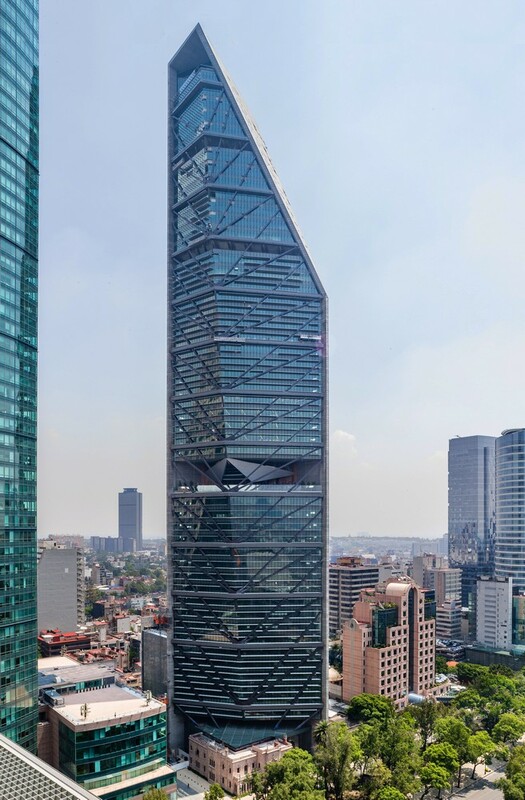 NEW YORK — With its distinctive triangular volume and soaring concrete walls, Torre Reforma makes an eye-catching addition to the skyline of Mexico City. 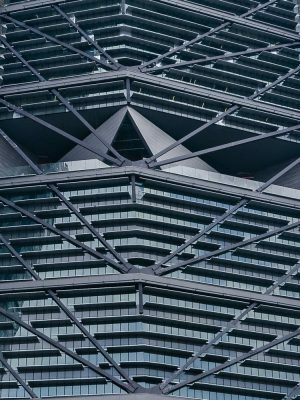 To achieve this impact, Arup worked with L. Benjamin Romano Arquitects (LBRA) to ensure that the 57-story mixed-use building was not only striking in appearance, but safe in its performance—a particular concern in the seismically active location. An Aesthetic Structure. Romano’s design boldly departs from the norm not only in form, but in its merging of materials with structure. 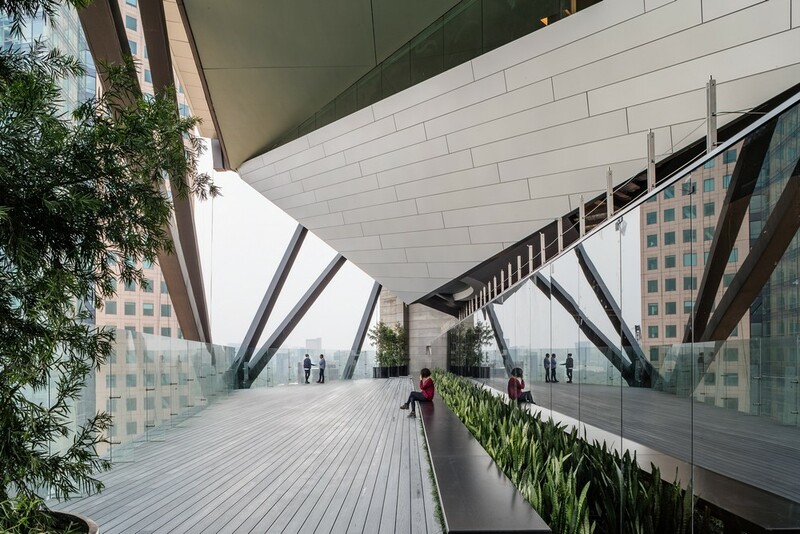 Arup devised pre-tensioned double-V hangers that brace the glazed façade and simultaneously create a signature visual identity for the building. Because the architecture is so closely aligned with its material expression, the finish of the concrete is critical. Several design mixes were evaluated; the final choice flowed well and created a surface that’s free of honeycombing or flaws. 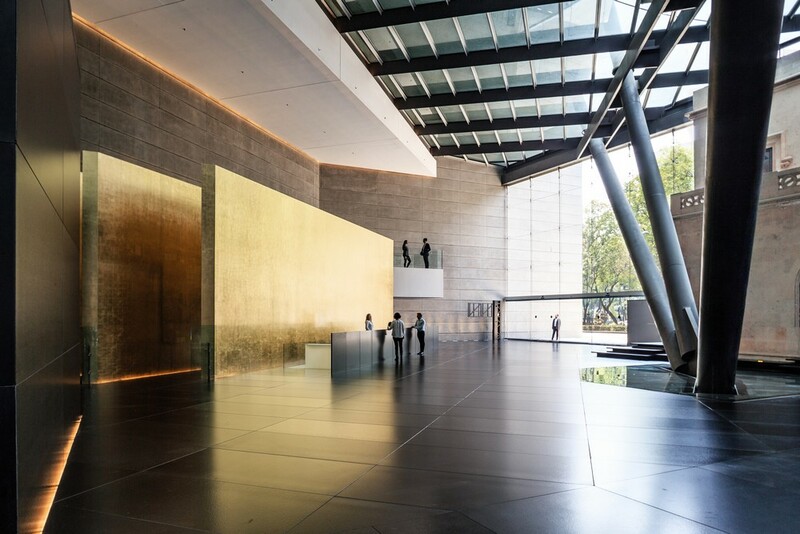 The concrete was poured in increments of 70 cm, highlighting the subtle variations in color that occur naturally across multiple concrete pours. The Core in the Corner. In conventional skyscrapers, vertical circulation is typically located in the central core of the building. 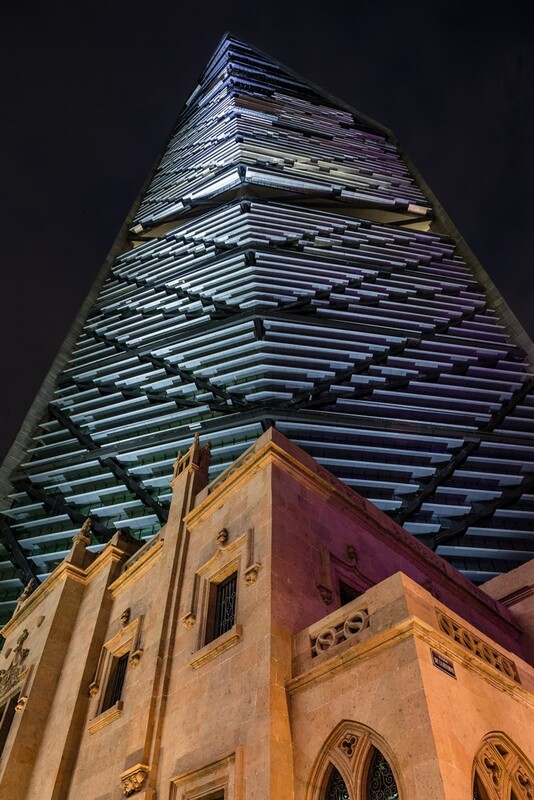 At Torre Reforma, the elevators and egress stairways are contained in the apex of the triangle. 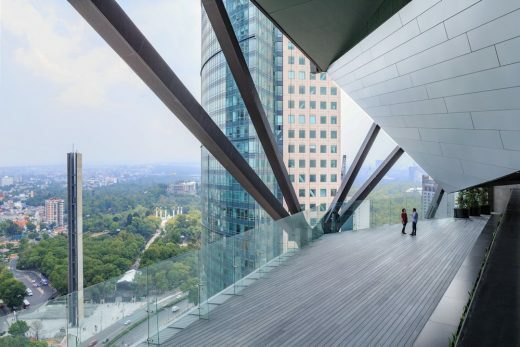 This, paired with the long-span pyramidal floor trusses that allow plumbing, electrical, and mechanical systems to be concealed within the structure, results in maximum ceiling heights and a column-free interior, facilitating unobstructed, dramatic views over adjacent Chapultepec Park and the city from every level. Designed for Stability. Set in an area with a long history of significant seismic activity, skyscraper construction in Mexico City poses complicated engineering challenges. 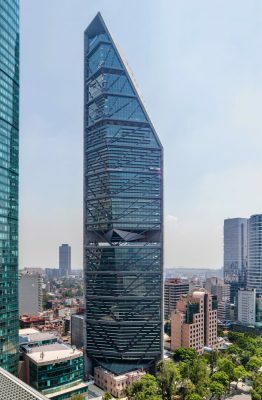 Because Torre Reforma is triangular in plan, the building has an inherent tendency to twist when subjected to lateral loads and wind, not to mention earthquake forces. 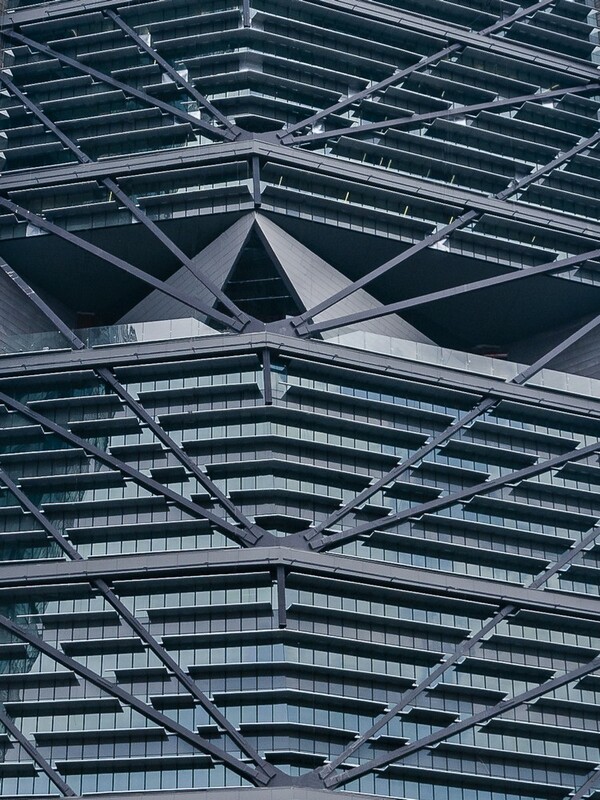 Arup applied a comprehensive time-history analysis to establish the performance of the structure under extreme seismic conditions and engineered a solution that is both locally appropriate and consistent with international best-practice designs for tall buildings. 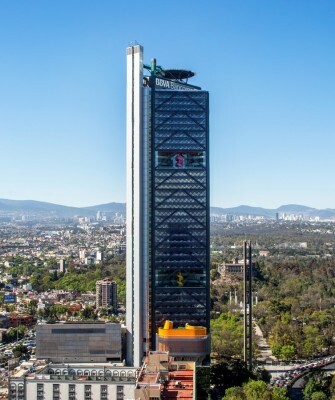 Torre Reforma will be able to withstand the full range of earthquake activity projected for a period of 2,500 years. Green Goals. In addition to its structural innovations, the building offers extensive sustainability features. Pre-certified as a LEED Platinum Core and Shell project, Torre Reforma has multiple water conservation systems, including rainwater collection and grey-and black-water recycling plants. A combination of automated and passive ventilation work moderates interior temperatures throughout the structure. The tower’s two concrete walls also contribute to the energy efficiency of the building: unlike glass curtain walls, they reduce the cooling load by protecting the interior from direct sun without impacting the aesthetic views in the tenant spaces. Arup provides planning, engineering, design, and consulting services for the most prominent projects and sites in the built environment. Since its founding in 1946, the firm has consistently delivered technical excellence, innovation, and value to its clients, while maintaining its core mission of shaping a better world. Arup opened its first US office more than 30 years ago and now employs 1,300 people in the Americas. The firm’s employee-ownership structure promotes ongoing investment in joint research to yield better outcomes that benefit its clients and partners. Visit Arup’s website, www.arup.com, and the online magazine of Arup in the Americas, doggerel.arup.com, for more information.